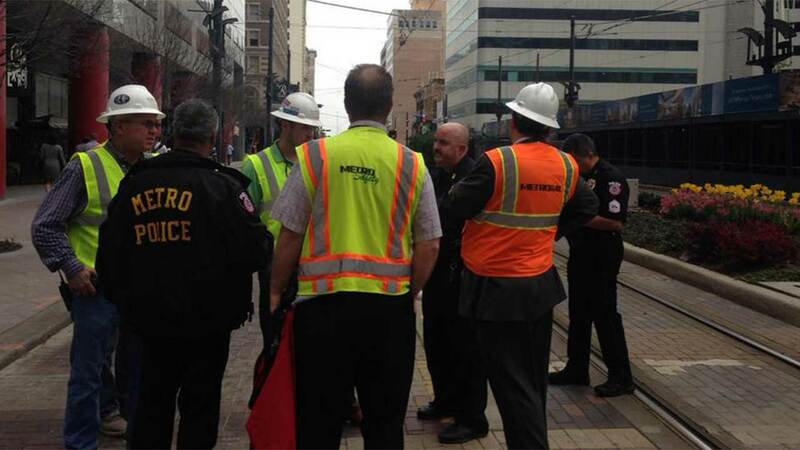 HOUSTON -- METRO light rail is back up and running after being shut down as crews investigated reports of a 'collapse or earth movement' downtown. It happened adjacent to the rail line near the intersection of Main and Capitol. According to METRO, a large building is under construction at 609 Main. Included in the construction is a tunnel that runs under the METRO track. There were reports of 'shifting' of the ground, so at the request of HPD, METRO suspended service. After running some tests, which included the rail line running without passengers, officials deemed it stable. No injuries were reported. We're working to gather more information on this story. Stay with Eyewitness News and abc13.com for the very latest. Keep checking back on this page to get real-time updates as this story unfolds. To get alerts for breaking news, download the ABC-13 news app for iPhone or Android. You can also get breaking news alerts sent to you by email.